Best Season To Go To England: Sometimes I get emails from readers asking ‘What is the best time to visit England’. So I decided to write it here. If you want a short answer, it will be ‘summer – Try and visit England during June to August’. Mild Weather: The weather is pleasant (although sometimes evenings can be cool). It’s a good idea to be aware of the weather forecast and carry a light jacket and an umbrella. Longer days: The sunshine is up tonight – maybe around 8 to 9 pm. Compare this with 3 or 4 pm sunset during winter. 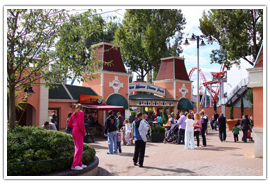 England has plenty of good outside attractions like parks and theme parks which can be enjoyed most during these months. Summer events: Many outdoor popular events are in summer – music festivals and my favorite – Wimbledon in June end. 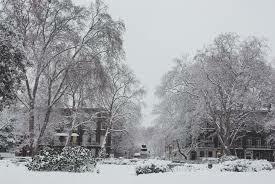 In case its snow you are after, you will be disappointed to know that it does not snow like it used to be 40 years back in England. Although from 2007 to 2010, there was plenty of Snow – but dates are not predictable. England is not that well geared up to cope up with snow and you will struggle with train cancellations etc. You will be better off visiting northern UK- i.e. Scotland, Swiss, Austria etc. to enjoy the snow.